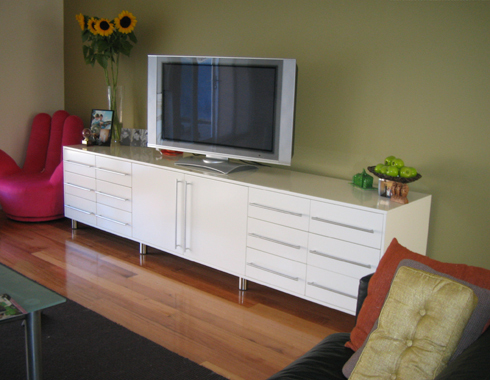 This entertainment unit features a large media storage capacity. There are 10 drawers all divided for CD's, DVD's and BluRays. The centre cupboard has adjustable shelves for components. The bottom right of the unit holds the sub woofer with venting through the side. It is finished in a custom white 2 pack semi gloss paint.